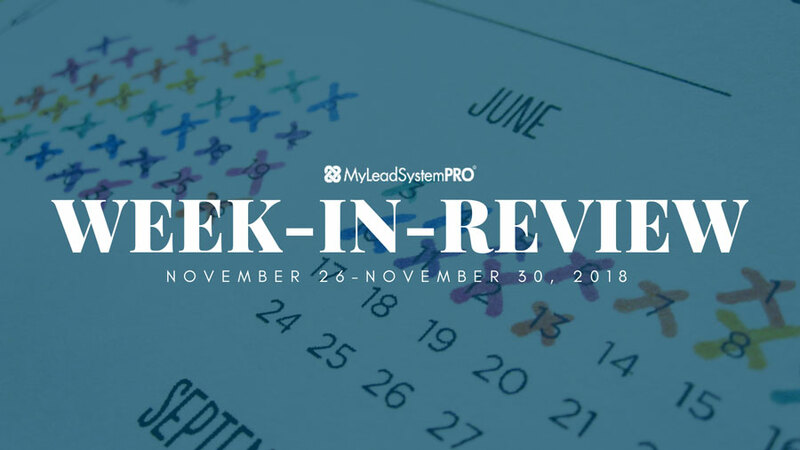 After a busy holiday week last week, and as we wind down the year, our leaders aren’t slowing down one bit. They’re fully dedicated as always to get your mind and your business ready for the success you deserve. They proved that this week by dropping some epic content that will have you setting yourself up for 2019 and beyond! The new year is right around the corner. 2018 is essentially over. What will your 2019 be like? What can YOU do to make sure it turns out the way you want it to? That’s what L7 Diane Hochman went over on her Wake Up Call from Monday. This amazing woman is of course the Queen of Attraction Marketing. However she’s also a mindset and success expert, with secrets directly from the masters! You can see that see that every third Thursday Night inside her Deep Abyss Mastermind. But you can get a glimpse of that below when you listen to this important podcast that can turn 2019 into YOUR best year ever! What to do if you’re not satisfied with your 2018… so 2019 can be even better! Diane jumped over to the MLSP Facebook page to dig deeper into this topic and it’s a MUST HEAR if you want 2019 to be your best year ever! A huge majority of your success depends on your confidence level. Your confidence in yourself is key to winning in area of life. Nobody knows that better than L5 leader Steve Krivda. This guy came from a background of not having much confident in himself and learned what it took along the way to get that. On Tuesday he dove into what he’s learned along the way to create the goal crushing confidence that you need to become successful! What you need to start doing from this day forward if you want to WIN in business in life! Steve Krivda is a highly paid coach! He jumped on to the MLSP Facebook Page and proved why. If you want free coaching that most people would have to pay hundreds for…you’ll want to watch the replay below! If you’re looking for a way to replace your income and quit your job FASTER… then this is the Wake Up Call for YOU! Steven Rachel is a social media marketing and video marketing expert, but he also knows the mindset that it takes to achieve your goal of working from home full time. On Wednesday he went over exactly how he achieved that dream in just 90 days, and how YOU can too! The epiphany that hit Steven one day about how he can finally start moving his business forward! Steven Rachel was eager to head straight over to the MLSP FB Page to detail more about his journey to success… which allowed him to quit his job in just 90 days! So many of us get caught up in the thought of the future. Which means that far too many people forget about RIGHT NOW! If you’re looking into the future and creating goals, that’s great. You should create goals. But on Thursday Ryan McMorris went deep into why NOW is the time. This moment, today! This was a powerful Wake Up Call that could change the way you think about your life from this day forward! Why you need to focus on the ONLY thing that you have to do RIGHT NOW! The attraction marketing element that Ryan struggled with in the beginning… that you may be struggling with as well! What Ryan noticed about the late great legendary marketer Mark Hoverson’s content during his last years… that changed how he thought of his own content creation! Ryan hopped over to the MLSP FB page to go LIVE and dig further into this important subject that everyone needs to hear. You may want to watch this over and over again until it really sinks in for YOU! It’s an important question. “Who are you becoming!” We’re always becoming somebody aren’t we? But is it somebody who achieves our dreams, or someone who drifts further away? Keysha Bass is well aware that in order to become successful, you have to become somebody else! She went over exactly who this somebody else need to be on Friday… and people absolutely loved this Wake Up Call! What’s the story that YOU are writing about YOUR life! One thing that Keysha Bass has become is an absolute giver! She’s always willing to give more and more to our community, and that’s precisely what she did when she went LIVE from our MLSP Facebook page on Friday! As you’ve seen, 2019 is right around the corner, and what you do RIGHT NOW is crucial to your chances of success. 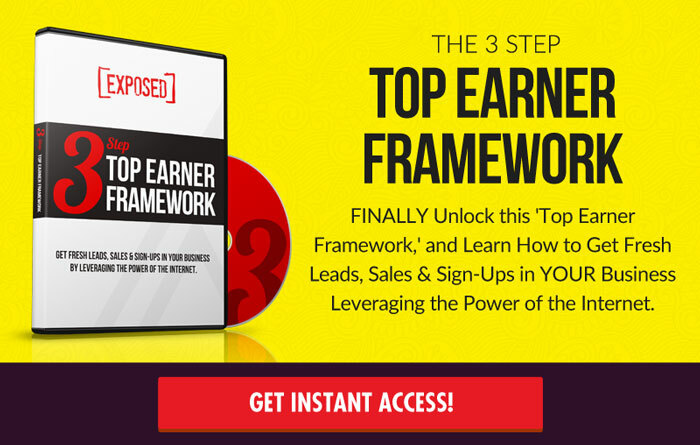 You’ve just been handed some life changing gems from six and seven figure earners. Now the question is, how will you leverage this knowledge and use it to change your life in 2019? Many of our members are already well on their way to changing not just their lives, but the lives of many. You can get a glimpse of exactly what possible on our latest Success Story Blog Post!